Freeware Download and how to fix computer problem. 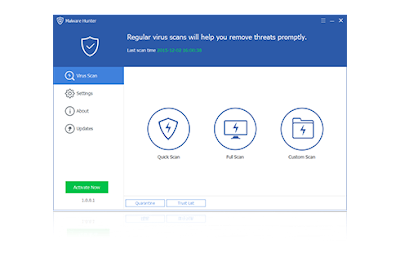 From Glarysoft: Malware Hunter is a quality software client designed to provide you with the ultimate in Virus detection and protection capabilities. With a faster scanning speed brought by hyper scan, it helps you detect and remove stubborn malware, and go against potential danger. Aimed at the process, our protection can ensure the safe operation of your computer. Fast hyper scans, detect and remove stubborn malware, help you to go against potential danger. With the latest virus definition updates and threat indexes provided seamlessly, automatic updates provides real-time protection so that your PC is always up to date and secure. As an award-winning product, Malware Hunter provides comprehensive protection against all types of threats, secures your data, protects your privacy and ensures your PC remains virus-free. your posting style is awesome thank for keep it up........Glarysoft Malware Hunter Pro 1.41.0.156 Crack Keys Free!